https://www.riverwalkresortatloon.com/riverwalk-health-clubThis blog post is part of "The Guide to Winter Activities in The White Mountains" blog series. So, your family or friends want to go on a ski vacation in the White Mountains, but you don’t ski or snowboard? Don’t fret. There is plenty of fun indoor and outdoor activities you can do while everyone else is skiing. Ski resorts and surrounding towns are no longer just for skiers. Lincoln-Woodstock caters to everyone from the Olympic ski racer down to Grandma snapping photos of her grandbaby skiing for the very first time. Lincoln and the surrounding area is a year-round destination in itself. Nestled in the western White Mountains, the town has much to offer individuals on and off the slopes. Wake up to a relaxing yoga session followed by a rigorous snowshoe hike in the woods and lunch at one of the delicious local eateries in town. Before you know it, the mountain will close for the day, and you can enjoy après ski at the Woodstock! There are tons of fun things to do and see in Lincoln if you don’t ski or snowboard depending on what you like. If you just want to relax, book a massage, go wine tasting, or just relax by the fireplace with a good book. For more active people, there is snowshoeing, ice skating, tubing, and more. Ice Skating has always been a fun pastime for many New Englanders. The RiverWalk Resort at Loon Mountain is home to a one-of-a-kind ice skating rink open to both resort guest and the public. During the winter months, RiverWalk Resort transforms their 167,000-gallon outdoor lagoon swimming pool into an ice skating rink complete with railings and a fire cauldron. Bring your skates or rent right from the resort. Snowtubing and sledding is always a fond childhood memory. It doesn’t matter how old you may be; you are never too old to hop on a snow tube and slide down a hill! 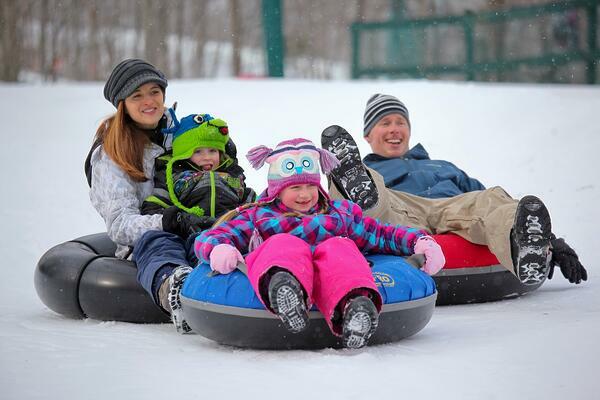 Loon Mountain’s Adventure Center is home to Lincoln’s only full-service snow tubing hill. Located under the Little Sister chairlift across from the Octagon Lodge, you can ride up the chairlift and slide down the slope without all the work on walking back up the hill! Bring your kids as the hill is open well after the last skier has come down the slopes. Snowshoeing is a great activity to burn some serious calories and enjoy the incredible beauty of the western White Mountains. If you have your own snowshoes, strap them on and head to one of the local hiking trails in the White Mountain National Forest. The Lincoln Woods Trail is one of the local favorites, and you’ll see people hiking it year-round. This 2.6-mile out-and-back trail is built on a former logging railway that runs along the riverbed. The trail is gently inclined, so it’s great for beginners. Check out our post about the six best snowshoe trails for more hiking options in the western White Mountains. 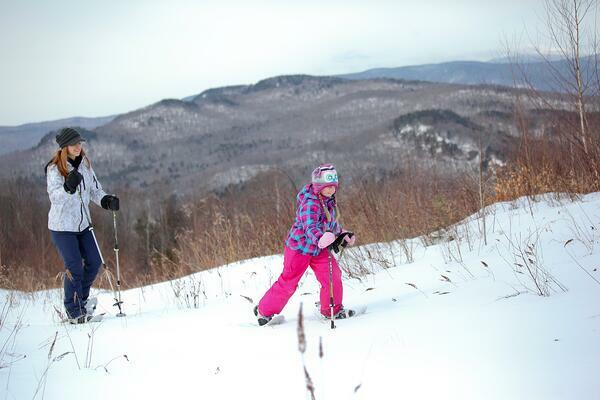 If you have never snowshoed before, you can give it a try at the Loon Mountain Adventure Center or Alpine Adventures. Both centers offer guided snowshoe tours for beginners and more advanced snowshoers. Did you know you can zipline in the winter in Lincoln? Put on your layers and strap in for a high-flying fun in the trees. 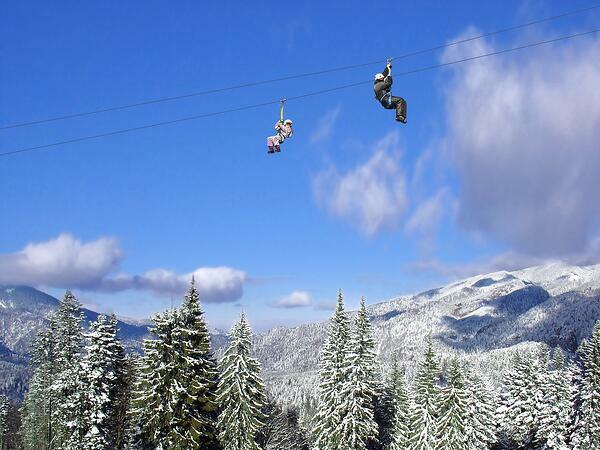 Alpine Adventures offers two ziplining tours during the winter months. The Tree Top Canopy Tour has six separate ziplines ranging from 250 feet up to 100 feet long. The Skyrider Tour course contains five ziplines and five suspended bridges. You’ll finish your adventure off with the “White Knuckle Pine,” where you can reach speeds of 50 mph. All tours will take a hot chocolate break in Alpine Adventure’s rustic tree house. New Hampshire is one of the most popular snowmobile destinations in the Northeast. Home to over 7,000 miles of trails in the state, you’ll see plenty of snowmobiles enjoying the local trails. If you want to give snowmobiling a try this winter, SledVentures in Lincoln offers snowmobile tours for the complete beginner to the expert. 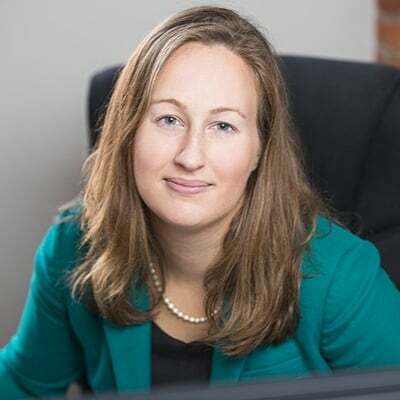 They will provide you with all the necessary gear and snowmobile before taking you into Franconia Notch for incredible views of the White Mountains. After all the fun and active outdoor adventures, you’ll need a little R&R time to rest your weary muscles and mind. The Solstice North Day Spa inside the RiverWalk Resort is a full-service day spa offering you all the services you need to relax from head to toe. Start your spa day with a Signature Massage to release all the tension out of your body. Follow your massage with a Signature Relaxing Facial to pamper your face and skin. Top off your spa day with a Solstice Classic Manicure or Pedicure. Better yet? Treat yourself to both! After all, you deserve it. But, you’re not done yet. You can still relax in the hot tub or swimming pool. The swimming pool is heated to 80 degrees, so you can still enjoy it during even the coldest day. The hot tubs, both the indoor and outdoor tubs, are a great way to finish your day. Even if you don’t ski or snowshoe, you can still get a great workout in Lincoln. Live a Little Fitness in downtown Lincoln is a charming little fitness studio offering yoga, Pilates, and bootcamp classes. They even offer beer yoga classes at the Woodstock Station Brewery. It’s every beer-loving yogi's dream! RiverWalk Resort’s gym is a state-of-the-art facility if you’re looking to burn some calories and pump some iron. Designed by a fitness professional and only open to resort guests, you’ll find all the equipment and gear you need to train for a 5K race to a Tough Mudder. This isn’t your mother’s gym! For a small town, Lincoln has some pretty fantastic food and drink options. Housed within the RiverWalk Resort, you can enjoy local New Hampshire wine at Seven Birches Winery. 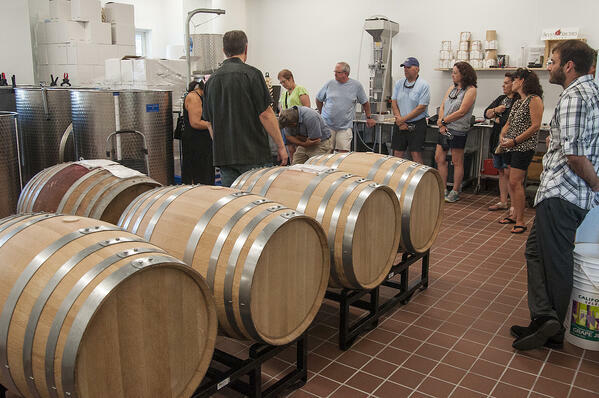 Sign up for the “Meet the Winemakers” tour and get an inside look at how they make wine or just sample all their hard work. Either way, you win(e)! The Woodstock Inn Brewery in North Woodstock, just a short drive away, is New Hampshire’s premier brewery. The thirty-barrel brewery produces more than 12 year-round beers and many seasonal beers you can enjoy with dinner at their restaurant and bar. One Love Brewery, across the parking lot from RiverWalk Resort, is a favorite spot for German-style beers. For Italian food, La Vista Italian Cuisine is always a good option. The Gypsy Café Restaurant is a local favorite serving unique dishes created from scratch. If you’re craving some beef, Black Mtn. Burger Co. is the place to be. Their fried Mac n’ Cheese Balls are so good! Don’t worry. You just hit the gym, so you deserve a little treat! For breakfast, take a little drive to Sugar Hill and enjoy New Hampshire’s best pancakes at Polly’s Pancake Parlor. Just across the RiverWalk Resort parking lot, you’ll find BarnZ’s Lincoln Cinema. With four screens, you can catch all the latest blockbuster films. While the kids ski, catch the afternoon matinee of the most recent chick flick that no one wanted to see. Don’t forget to treat yourself to some popcorn and chocolate! Just because your family or friends want to go on a ski vacation this winter doesn’t mean you can’t have fun, too. Lincoln is a beautiful winter destination with lots of fun activities to do inside and out. Spend your time doing things that you love.